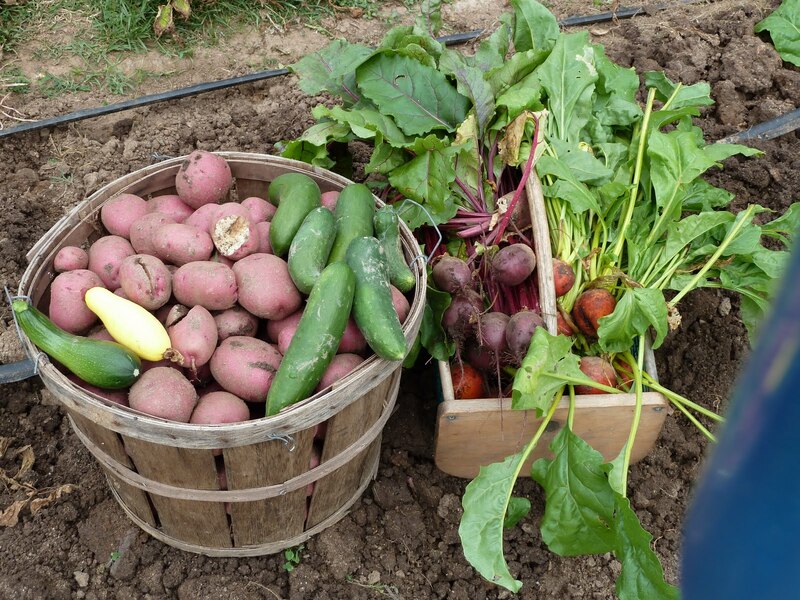 On the first of July, with the help of my grandsons, I harvested my Norland and Yukon Gold potatoes. In mid March, I planted a 12 foot double row of the Norlands and about 30 feet (double row) of Yukon Gold. As you can see from the picture taken in late June, the foliage in the foreground (Norland (red potato) is almost totally dead and the Yukon Gold foliage is almost dead. The double row of Noland potatoes was about 12 feet long and after digging them up, I had a full bushel basket of red potatoes. The Yukon Golds were not quite as prolific since the 30 foot double row yielded just under two bushels of potatoes. I guess I’ll have plenty of potatoes for summer potato salad with plenty to give to my family. The best part of this store is that I bought extra seed potatoes in the spring and they will be going into the ground in the tomorrow for fall harvest. How did you store the seed potatoes you bought in the spring? I would think they would be ungangly by now. Was thinking of planting organic potatoes as potato seed. 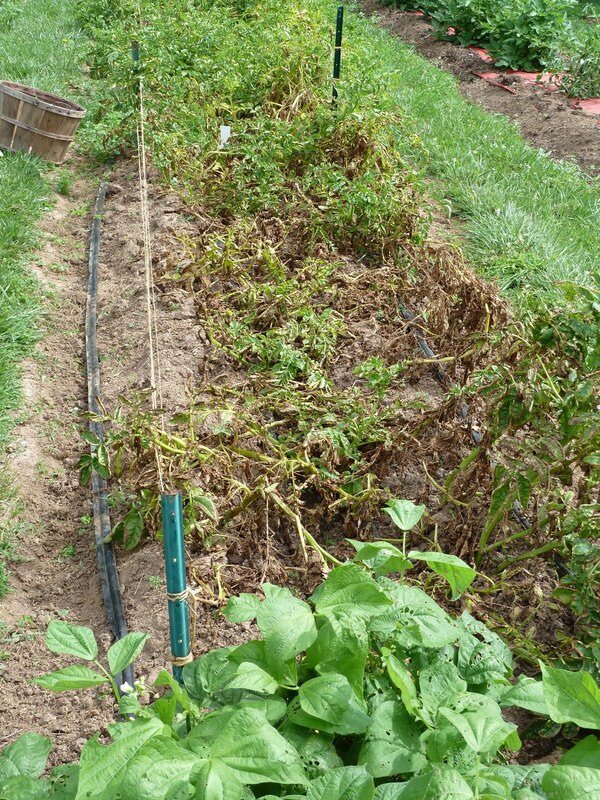 Don't plant organic potatoes purchased in a store because they could be carrying a disease that you could introduce into your garden. This is one way that late blight can spread. New potatoes dug in June can't be re-planted to produce a second crop because they are not sufficiently mature to produce buds and new plants.